A respect for everyone’s unique difference is the theme. Personalization also takes other forms on mobile and through AI. Artificial intelligence can help guide a consumer to better product recommendations or remind a consumer of their size for an item. This personalization will also carry over to the mobile experience in the checkout process. The navigation to show you the right products or reminding customers of past purchases details. In this way, the consumer will have real-time access to their shopping history. The use of virtual assistants to order everyday items will rise in 2018. Voice-assistant products like the Amazon Echo or Google Home continue to give brands an excellent chance to connect with consumers. 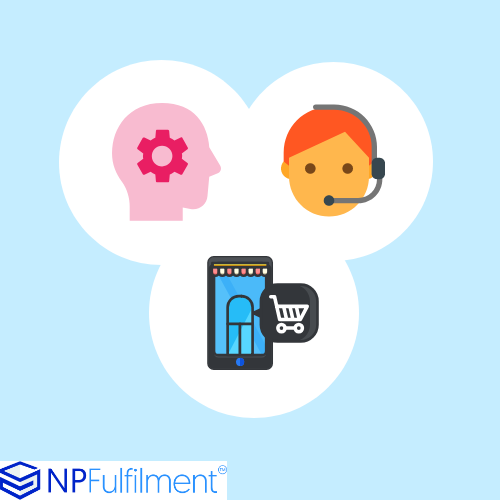 One of the advantages personal assistants offers for ecommerce sellers is the increased engagement. As more consumers become comfortable with the process, they will rely more often upon the technology to accomplish everyday tasks and purchases. Some versions of augmented reality (AR) are playful while others like Ikea Place, are practical and useful. Online sellers are looking to incorporate it into shopping, to make the online shopping experience lively again. They realize that the novelty of online shopping is over and that something is needed to make shopping as lively and unique as possible. Virtual and augmented reality offer huge opportunities for the ecommerce brand, letting consumers experience products in as close to traditional shopping at a brick and mortar store. Popular AI products include “virtual dressing rooms and in-room product visualizations. Ecommerce experts believe finding visual ways to show off your product will be critical to making the sale. As more and more consumers looking online to buy most of their purchases, AR is certainly one way to increase sales. Final note: Ecommerce sellers looking ahead to 2018, need to remember one lesson from 2017: keep up with the trends or risk going out of business. In the end, consumers decide what is in mode and from thereon it moves very fast.